Hybrid Perpetual shrub rose of upright to spreading bushy habit. 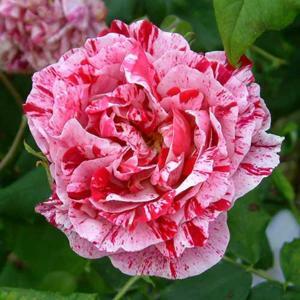 Double, scented flowers are pink with petals streaked and splashed with crimson. Free flowering over a long period from summer to autumn.